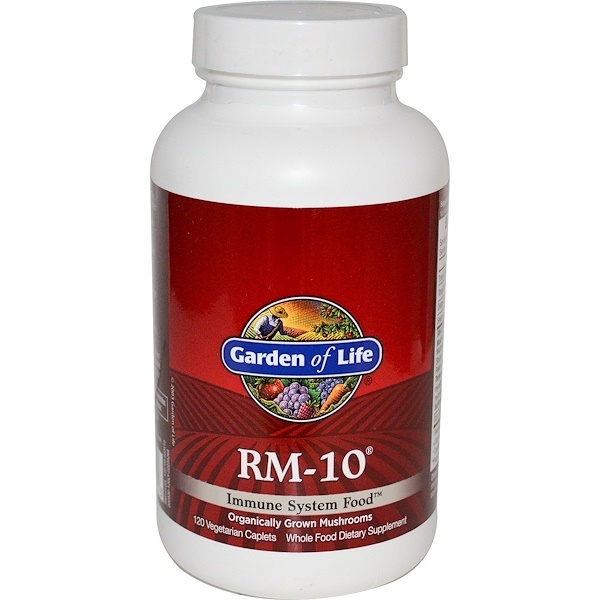 RM-10 is a combination of 10 organically grown, tonic mushrooms that have been specially selected for their superior genetic heritage and then carefully cultivated to ensure they maintain their integrity and potency. 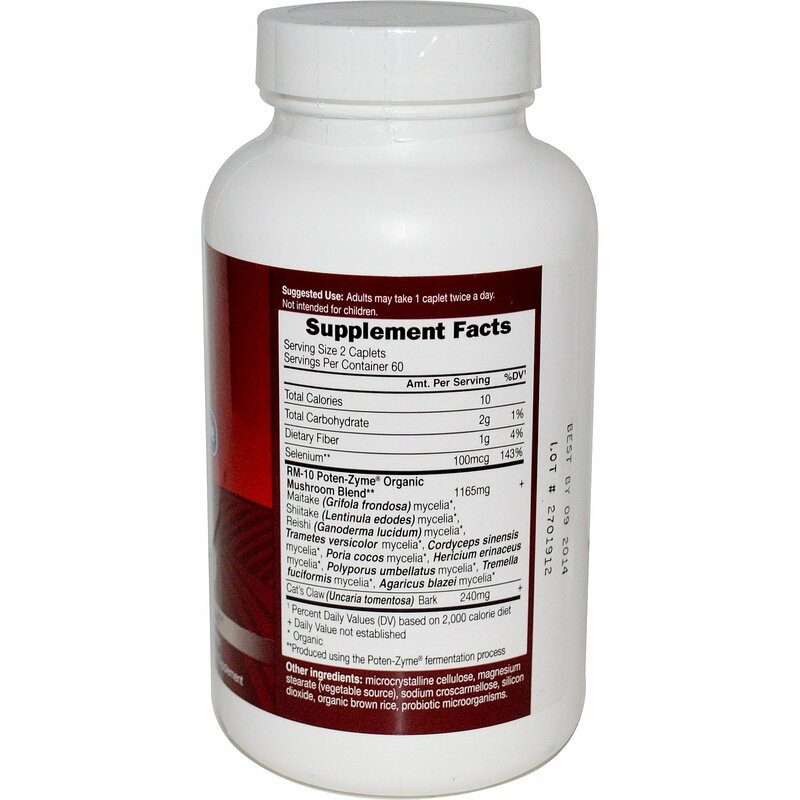 This proprietary blend is synergistically balanced with Cat's Claw and Poten-Zyme Selenium, a highly absorbable form of selenium. Selenium supports immune cell function and response. Microcrystalline cellulose, magnesium stearate (vegetable source), sodium croscarmellose, silicon dioxide, organic brown rice, probiotic microorganisms.